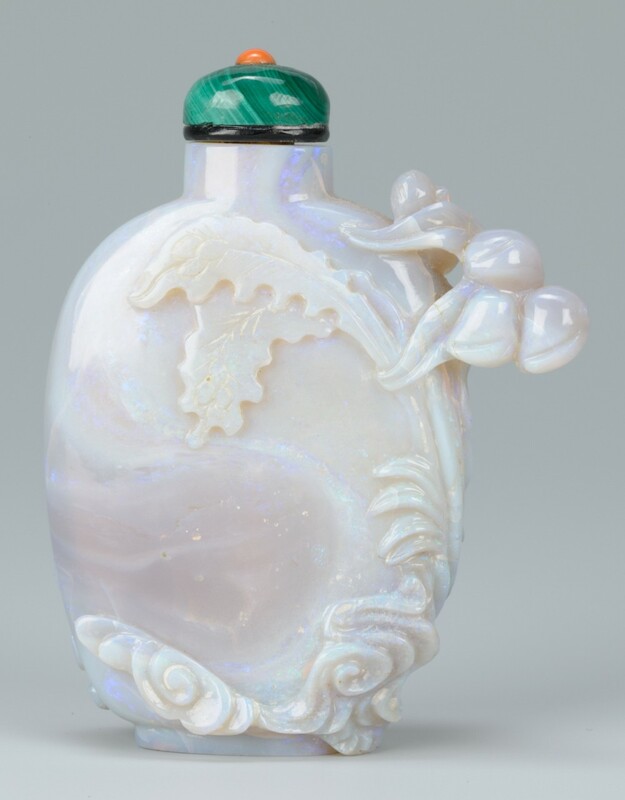 Chinese opal snuff bottle with a female immortal and phoenix carving and a malachite stopper. 2 1/2" H x 2" W. 20th century. 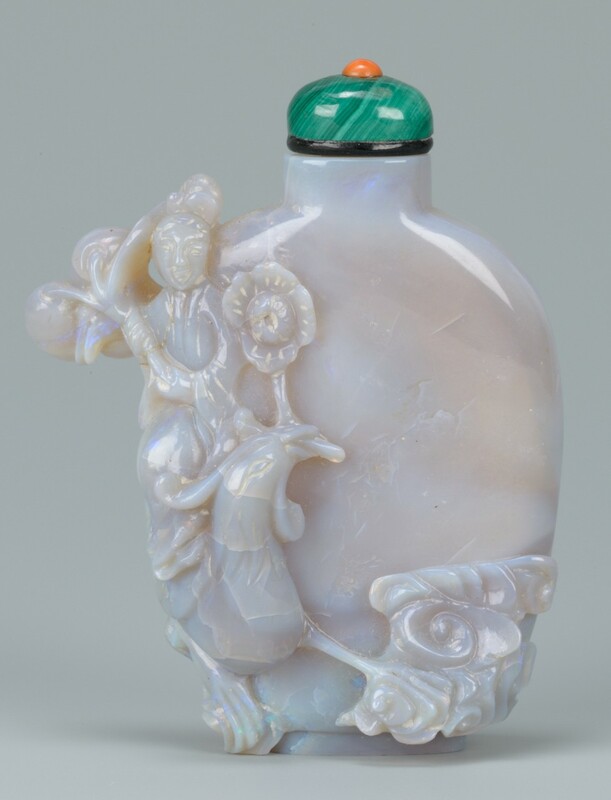 Provenance: From a Knoxville, Tennessee Collection. Condition: Excellent condition.